This is an historic Loire Valley property in the region of Anjou-Saumur. The vineyards are located on the banks of the river Layon where the soil varies between clay, gravel and slate. The estate has been in the Touchais family since 1787 and very little has changed since that time in their approach to crafting wine. The wines are 100% Chenin Blanc, handpicked in stages. Because of the location of the vineyard at the rear of the appellation, away from the humidity of the river, the grapes are not generally affected by botrytis spores – noble rot (though on occasion it does occur). Most of the opulent sweetness and richness of the wine comes from very ripe healthy fruit and the freshness comes from high acidity. 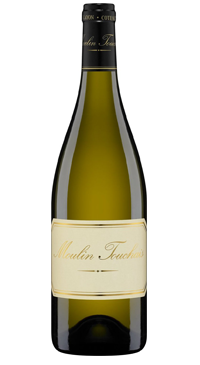 Slow fermentation and long bottle ageing is typical for Moulin Touchais.